This free upgrade, includes intelligent preset generation, two new effects, configurable FX signal flow, user-friendly additions to the preset system and more! 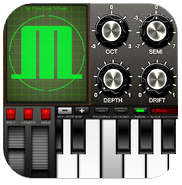 This update also opens up Magellan as an FX processor you can use with Audiobus. You also get two free patch banks that you can download by visiting the Yonac forum at www.yonac.com/forum. These banks are compatible with Magellan Jr. also, and use some of the new features. • Use Magellan as an effects processor in Audiobus connections! — HEXEq: a very powerful and highly configurable 6-channel parametric equalizer with 9 filter types you can choose from for each channel, including shelving, peak, band and more. • Change the FX signal flow via easy to use drag-n-drop interface. Allows you to experiement with any possible linear ordering. to add or remove it from favorites.